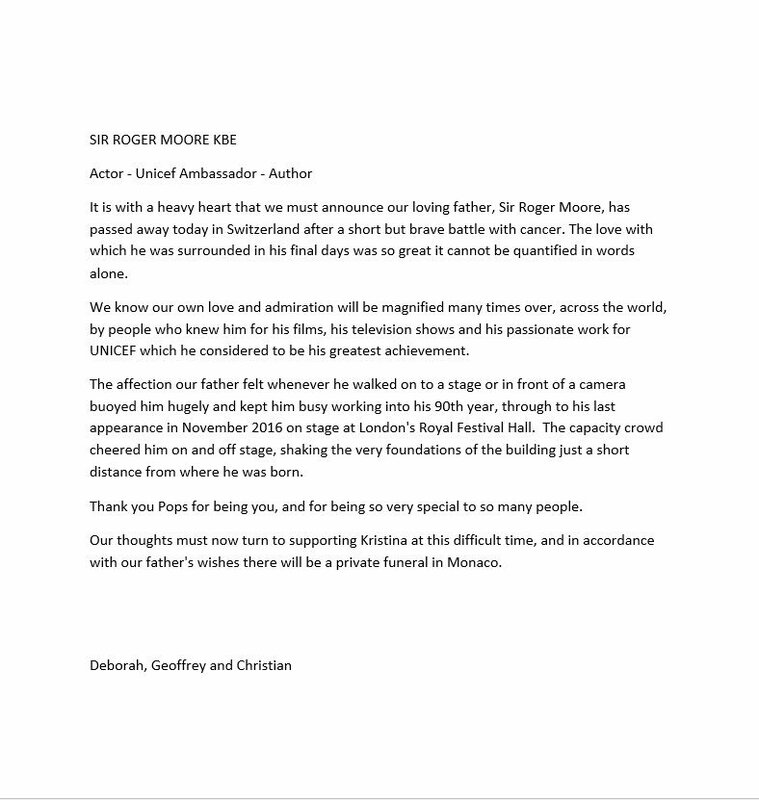 Actor Sir Roger Moore has died aged 89, according to his family. He died in Switzerland today after battling with cancer . 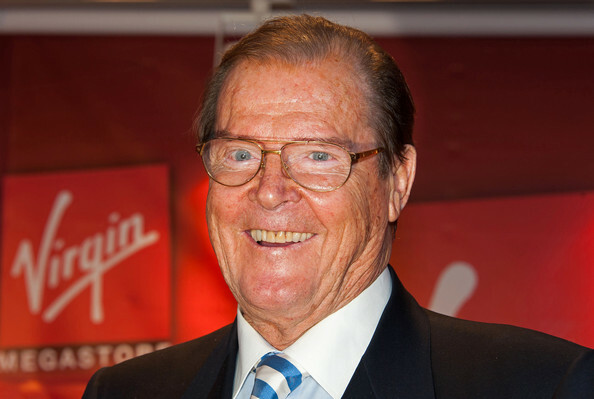 Sir Roger is best known for being the third actor to play the British secret agent James Bond in seven feature films between 1973 and 1985. Moore was diagnosed with Type 2 diabetes in 2013. He had to learn to walk again after a bout of pneumonia and had a pacemaker fitted after collapsing on stage. He’s featured in movies like The Saints , Maverick ,Live and Let Die, The Spy who Loved Me, Moonraker , among other movies . In 2008, he won the Dag Hammerskjold Award from the United Nations and in 2005, UNICEF Snowflake Andrey Hepburn Humanitarian Award, among others.